* The deal would start as soon as it’s approved by the Coliseum JPA, the city and the county, taking the place of the current lease which expires next year. If the A’s don’t exercise any outs, this new deal would run through Dec. 31, 2024. * The A’s can terminate the deal and the earliest they can leave is Dec. 31, 2018. That makes it a four-year lease with year-to-year outs after that. * If the A’s choose to terminate the deal early and move to San Jose, their maximum exit fee would be $7.75 million, according to the Oakland Tribune. * If the Coliseum JPA and the Raiders strike a deal to build a new Raiders stadium at the Coliseum site, the A’s can terminate the lease and leave two years later. * The Coliseum JPA will allow Wolff and Fisher to keep $5 million in parking revenue that they owe taxpayers. The A’s and the Coliseum JPA agree to release all claims against each other, including claims that are in arbitration (that includes the parking revenue dispute). * The A’s agree to spend at least $10 million to install a new scoreboard by the 2015 baseball season, but the A’s also would keep all advertising revenue generated from the scoreboard for A’s games and A’s-related events. * The Coliseum JPA would pay to maintain and operate the scoreboard and retain all revenue from scoreboard advertising at all non-A’s events, including Raiders games. * Wolff, Fisher & the rest of A’s ownership will pay the following in rent for use of the Coliseum: $1.75 million in 2014; $1.25 million in 2015; $1.5 million each year from 2016-2019; $1.25 million each year from 2020-2024. * The Coliseum JPA will spend a maximum of $1.5 million to enhance lighting in the parking lot and certain areas of the Coliseum. * The Coliseum JPA will pay $1 million each year for maintenance and repair of the Coliseum. That term clearly is designed by Wolff and Fisher to remove the Howard Terminal option. 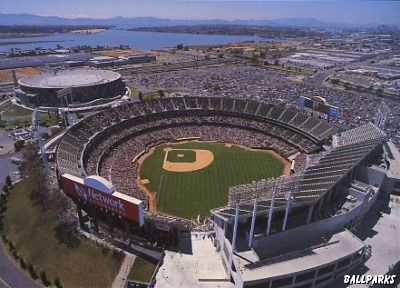 By Wolff demanding that “good faith discussions” must “solely focus … on a new baseball stadium … on land within or immediately adjacent” to the Coliseum, he is giving no guarantees on anything while demandng that the Coliseum JPA guarantee him that they’ll take Howard Terminal or any other non-Coliseum site off the table. We know why Wolff wants that: he doesn’t want to be in Oakland and he knows Howard Terminal is the best Oakland site backed by powerful Oakland business interests. But, why would the Coliseum JPA agree to such an unnecessary and bad term? In short, if news reports are true that the Oakland City Council will not agree to these terms, then we applaud them because these terms are bad for Oakland, Alameda County and fans’ hopes of keeping the A’s or the Raiders or both in Oakland. The Coliseum JPA is scheduled to vote Thursday on this deal.